The Affordable Care Act will mark 10 years in 2020. Republican Arkansas Rep. Bruce Westerman is introducing legislation to increase access to health care and give states more freedom within the framework of the ACA Monday night. Westerman said his wide-ranging bill leans into the “free market” aspects of the ACA exchanges. As the 10-year mark of the Affordable Care Act’s (ACA) passage approaches, Republican Arkansas Rep. Bruce Westerman is introducing legislation to increase access to health care and give states more freedom within the framework of the ACA Monday night. Republicans had to surrender their hopes of repealing and replacing the Affordable Care Act when they lost the House in 2018. Westerman said his wide-ranging “Fair Care Act” leans into the “free market” aspects of the ACA exchanges. “I think people got gun-shy about attacking the broad issue of health care, so you see a more focused effort on one individual component of health care. … This is a decade-long issue from before the ACA came into place, and we need to have a good, transparent discussion about what’s really best for America in health care,” Westerman told The Daily Caller News Foundation in an interview. Like the AHCA, Westerman’s bill draws on Maine’s invisible high-risk pool to keep costs low for people with pre-existing conditions. Maine’s program ran from 2012 until the ACA exchanges became available in 2014, reported NPR. But unlike the AHCA, Westerman’s bill would provide the funding experts say the program requires — $20 billion a year versus a couple billion allotted by the AHCA. Under Westerman’s bill, states could opt in to the pool program funded by federal dollars, premiums from certain policies and a $4 fee attached to certain health insurance policies. Insurers give up a large chunk of high-risk patients’ premiums; in exchange, they’re only responsible for the first $10,000 in medical costs per year incurred by those patients. Westerman’s bill also attempts to reduce drug prices, including provisions making it quicker and easier for generic drugs to receive Food and Drug Administration approval. Drug pricing legislation has been an area where members of Congress from both parties have collaborated in recent years, but Republicans and Democrats have a harder time seeing eye to eye on health care payment reform, Lindsay Bealor Greenleaf, director at ADVI Health, told TheDCNF in a phone interview Monday. 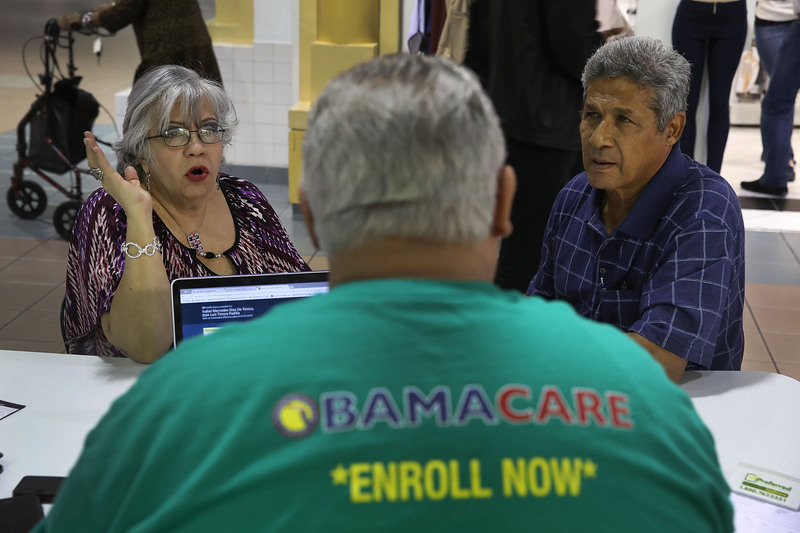 “The ACA exchanges have been up and running since 2014. It would be really difficult to implement a full-scale repeal effort. Those conversations just aren’t happening given that it’s really hard to unwind something like that,” Greenleaf said. But it’s clear that something needs to change, she said. Westerman’s bill takes a stab at some of those “onerous” taxes, including by repealing the Health Insurance Tax (HIT) on providers that has many opponents in the small business community. Westerman’s main purpose in introducing the roughly 200-page bill is to “get it out there,” he told TheDCNF. “I may seem like the unlikely voice. I’m not on the Energy and Commerce Committee, not on the Ways and Means Committee. I hate to say I’ve got a fresh face, but I’m kind of a fresh face on the issue. … When you get down into the weeds on this and start looking at individual problems, they’re not that difficult to come up with good solutions. … That’s what we have here, a compilation of good solutions on individual issues resulting in a very good health care payment system,” he told TheDCNF.